5G Network Slicing - What, Why and How? Building a network infrastructure that addresses the needs of a wide variety of 5G use cases and at the same time, meeting the performance expectations is quite challenging. 5G architecture introduces a new concept called “Network Slicing”, to meet the scalability and user experience demands of the wide variety of 5G use cases. 5G will enable new services and new business models that were not possible using older wireless technologies such as 4G (Read 4G vs. 5G). 5G technology is expected to provide a consistent and highly reliable user experience for a wide variety of use cases. For example, 5G infrastructure has to support a Smart Metering application, where several thousands of utility meter devices are continuously sending small chunks of information over a long period of time. This use case is not latency sensitive, but expects the network to scale to several thousands of devices. And, at the same time, 5G has to support a fast moving autonomous vehicle, that consumes lots of data and expects sub-millisecond response time. Support E2E resource management from RAN all the way to the 5G NG Core. Network Slicing allows 5G service providers to divide a single physical network (all the way from the radio to the core network) into multiple virtual networks. Each network slice can have different speed limits, different latencies and different quality of service configuration. The advancements made in Network Functions Virtualization (NFV), Software Defined Networks (SDN) and Cloud has helped in implementing network slicing in 5G networks. 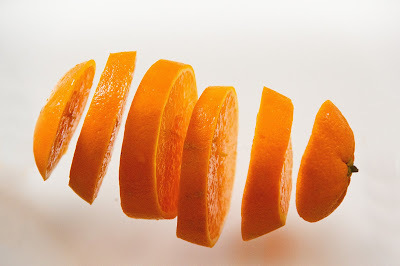 Network slicing provides a number of benefits to both service providers and customers. Reduces operational costs in managing / running the wireless networks - as the 5G network slicing exposes APIs for programmatically managing the network infrastructure. Allows Service Providers to offer differentiated services to customers using the same network infrastructure, without impacting the performance of the services offered to other customers. For example, support Autonomous Cars and Smart Utility Meters on the same network infrastructure. Allows service providers to monetise the network infrastructure - not just based on bandwidth consumed, but also based on other parameters such as latency, quality of service, energy consumption and number of connections.